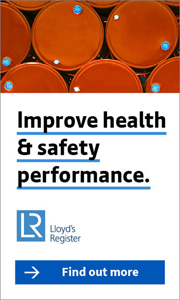 The latest health & safety news, innovations, products and more. The Health and Safety Laboratory is hosting a one day course on Upper Limb Disorders Risk Assessment of Repetitive Tasks next week, on the 11th of July. Swindon Commercial Services, a wholly owned subsidiary of Swindon Borough Council, has been fined £12,000 after an agency worker received an electric shock securing fencing at a play area. Two construction firms were fined a total of £301,000 last week after an employee, Christopher Heaton, fell approximately seven storeys to his death in central Manchester. The Manchester Occupational Health and Safety Group’s (MOHSG) next group meeting will feature a lecture from Stuart McNaughton on white finger syndrome. The syndrome, also called vibration white finger, is a type of secondary Raynaud’s disease caused by exposure to vibration. Firex International, one of the world’s largest dedicated fire events, recently returned to Birmingham NEC with its strongest ever proposition for the coming year. The UK Asbestos Training Association Ltd (UKATA) has announced the appointment of Terry Barker MA, PG DIP, as its new Technical and Operations Manager. Amey, a leading provider of public services, has won four national awards for all areas of its operations from one of the UK’s most respected health and safety charities. An unnamed window cleaner was left stranded when a cradle became stuck on the 72nd floor of the 309.6m (1,015ft) Shard skyscraper in south London yesterday. A Leek company that makes webbing for seatbelts and harnesses has been fined after an employee trapped both arms in a machine and suffered severe burns. Soaring energy prices are savagely reducing the quality of life for some of the poorest members of our society, UNISON has warned.